We just got confirmation on our last campground host position for next year. We are now completely books for the next 19 months with April and September off next year! We have updated our Calendar Page with the everything we have so far. Mom, Katie and I are hoping to be able to visit some parks during those two months off on our way to the next one. You are being sent this email because you joined our mailing list of folks interested in hearing about camp hosting and other recreation positions. We need hosts or host couples immediately at the US Forest Service campgrounds we operate in the Hiawatha National Forest in the Upper Peninsula of Michigan. The jobs pay a wage plus a host site and utilities and is for this summer and early fall. Now St. Joseph’s and Myakka are both State Parks with RV and Tent Camping facilities so we will be cleaning the bathrooms, helping other campers and keeping the campsites clean when they are vacated. We may even have to help out with the cabin cleaning or work in the Ranger Station where people check in. 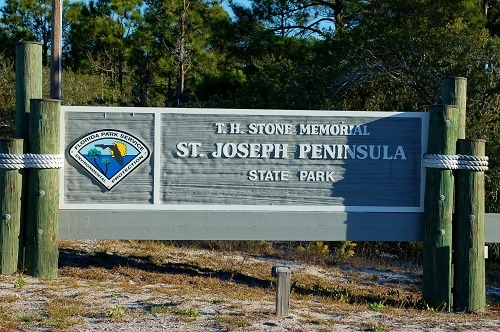 Both these Florida State Parks have large camping areas. St. Joseph’s has one on the Bay side and the other on the Gulf of Mexico side. Myakka River has three different camping areas and we will be at the oldest one called Old Prairie. We got this one by default this winter because our RV was only 31 feet. Ha, Ha, those other snowbirds with the larger rigs missed out this winter baby. 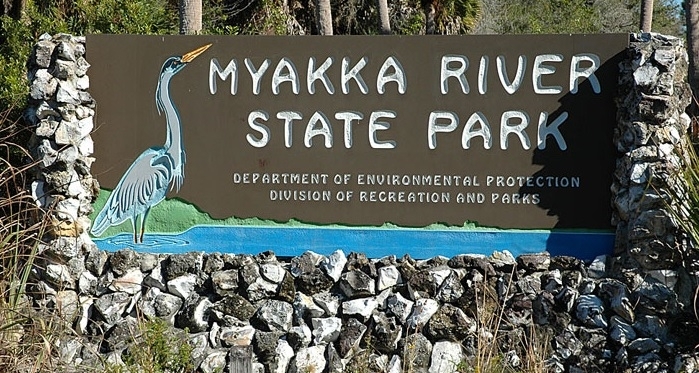 By the way Myakka River State Park is still needing campground hosts and cabin cleaners for this summer and next. Contact Teresa Good, she is the Volunteer Coordinator at Myakka at: teresa.good@dep.state.fl.us or call the office at (941) 373-7839. Even Adams Tract River Camp is for campers from the river, anyway. 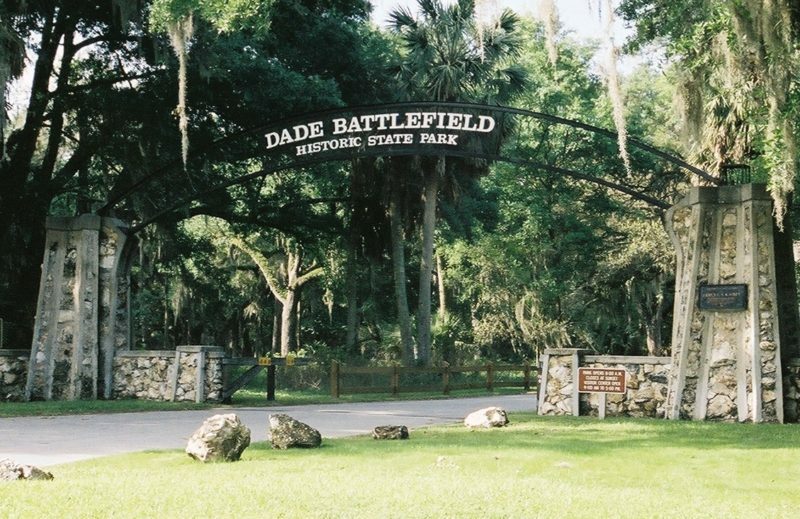 But Big Shoals and Dade Battlefield do not have camping in their parks. They are strictly day-use areas. I know you can “Dry-Camp” at Little Shoals but we were told that we will be staying at Big Shoals just Southeast of White Springs, Florida. 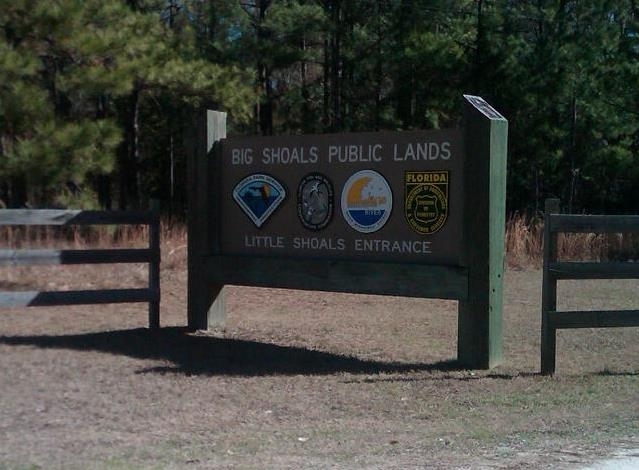 Big Shoals is mainly for hikers and white water rafting. We will be keeping the bathroom facilities clean, emptying out the trash, keeping the grounds in shape and opening and closing the entrance gate each day. I imagine we will also be asked to check with any guest questions, possible take entrance fees, etc. Luckily, we will not get there till October so maybe there won’t be all that much lawn mowing, tree trimming and so far. But that is for next year. Road Back in Time for Kids – Pioneer hands-on demonstrations and guided tour of Seminole, Pioneer and Soldier encampments for school groups. Road Back in Time for General Public – Candlelight guided tour of Seminole, Pioneer and Soldier encampments. Christmas on the Florida Frontier – Step back in time to a simpler time of celebrating Christmas on the Florida Frontier. Join us as we make and play with home-made toys, create corn husk dolls, do soap carving, learn the art of punch tin crafts, dip candles, listen to old-time music, square dance, sing carols, decorate a Christmas tree, make Christmas crafts, and visit a far from home soldier’s encampment. Participants will get to sample holiday frontier treats and buy refreshments from vendors. These all sound fun but we are not really sure what all we will be doing for any of these. It is an ADVENTURE, that we would have not really done if we were not going to be a residential host here. We will miss the Battle re-enactment that happens on January 4th and 5th next year. TILL NEXT TIME – KEEP ON CAMPING!